What is a federal immigration bond? An immigration bond is a type of surety bond known as a federal civil bond used to release a person in the custody of Homeland Security that was was living unlawfully within the United States. An immigration bond known as ICE Form I-352, has three distinct types. First is an Immigration Delivery Bond, Second is a Public Safety Bond and third is a Voluntary Departure Bond. Immigration bond fees are typically 15% but could also include office fees, incurred travel costs and other associated bail bond fees. Thank you for all of the information about federal immigration bonds. I didn’t know that there were three types! I know now that they can be pretty expensive. 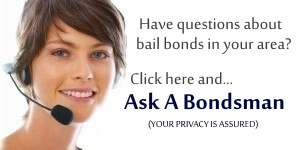 I have family that have tried to get these bonds before and it does take time and patience. Thanks again for a great post!